Glitter crystals are made of 0.040 size plastic pieces that are hexagon-shaped. 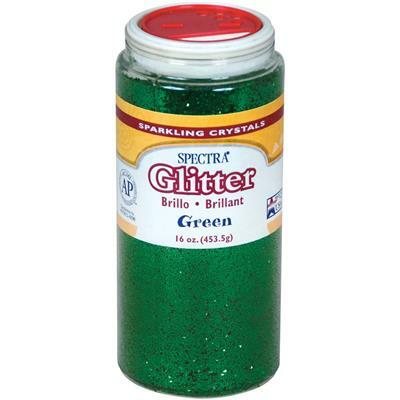 Glitter is nontoxic and conforms to ASTM D-4236. 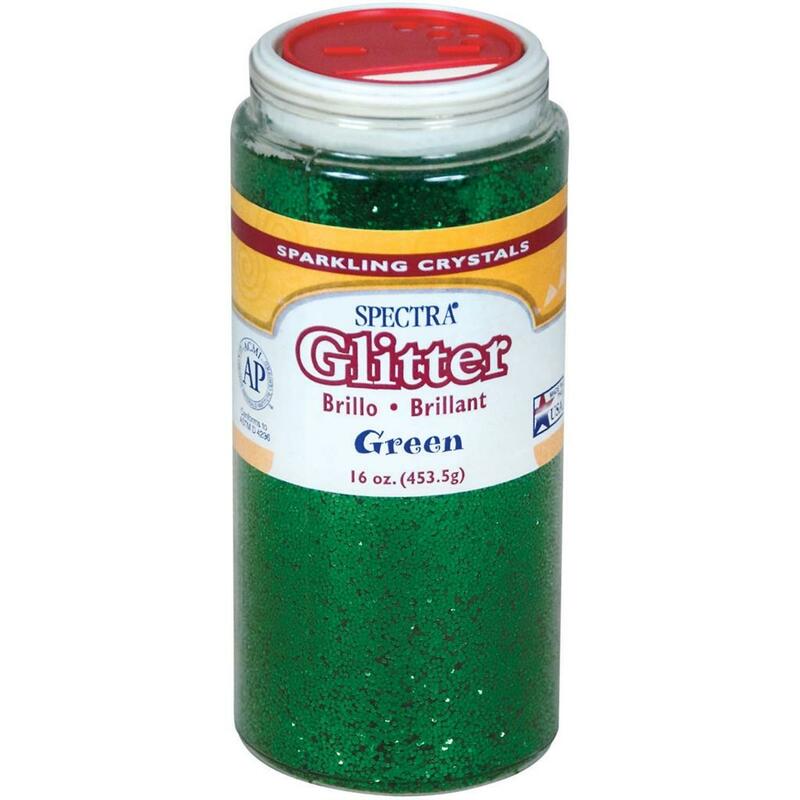 Plastic dispensing jar offers a variety of slot openings to make the glitter easy to use without a lot of mess.